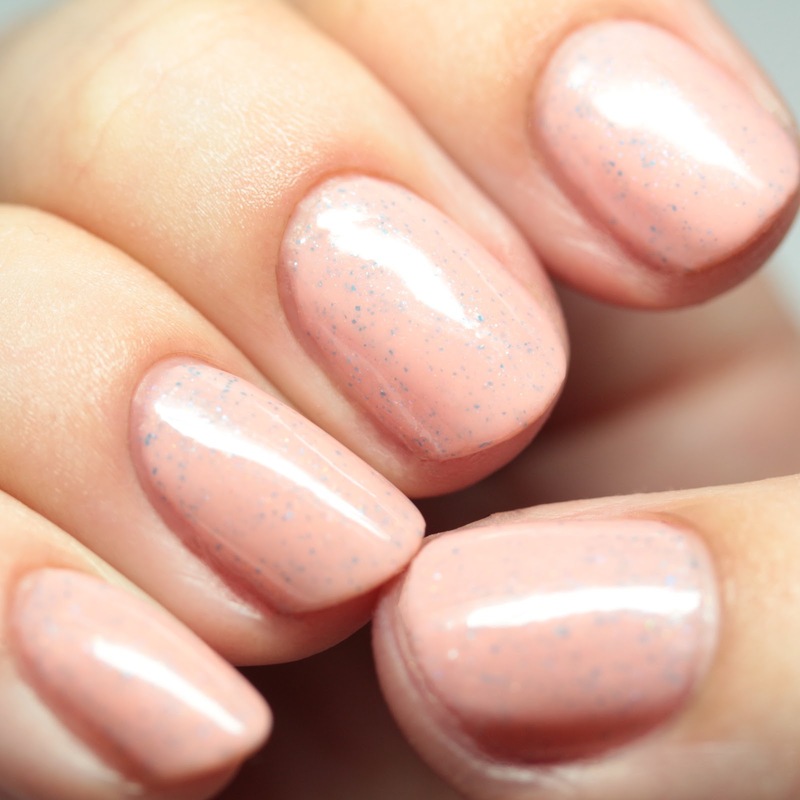 Aliquid Lacquer Canal Couture is a peach pastel with blue and gold microflakes. It is worn here in three very thin coats and it spreads nicely and self-levels. 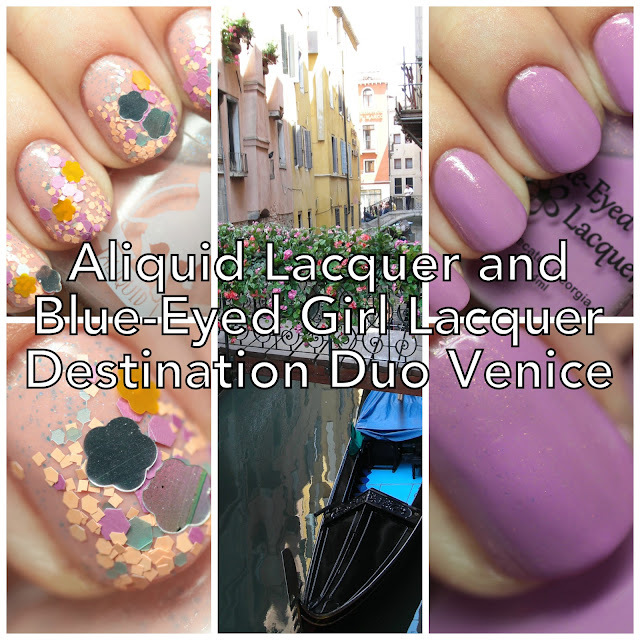 Aliquid Lacquer is a brand I have been buying from for a long time and I love how she does microflakes and shimmers. Blue-Eyed Girl Lacquer Gondolier's Garden is a lilac with copper microflakes, shown here in three very thin coats. 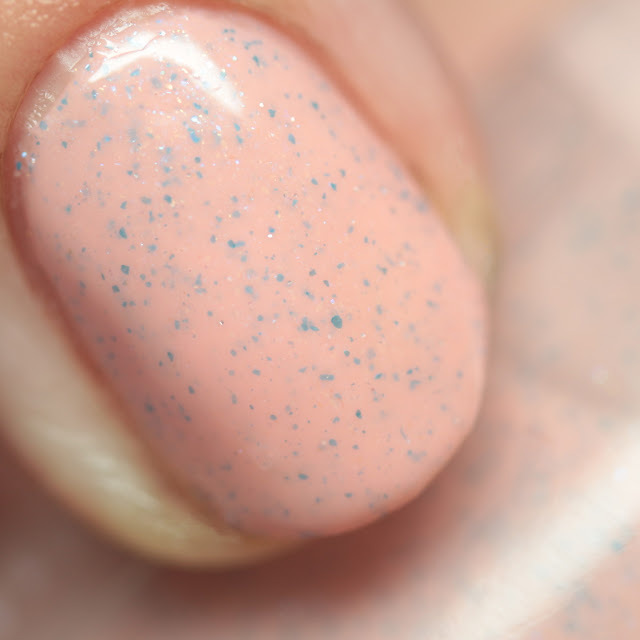 This dries quickly to a satin and is worn with top coat in these pictures. 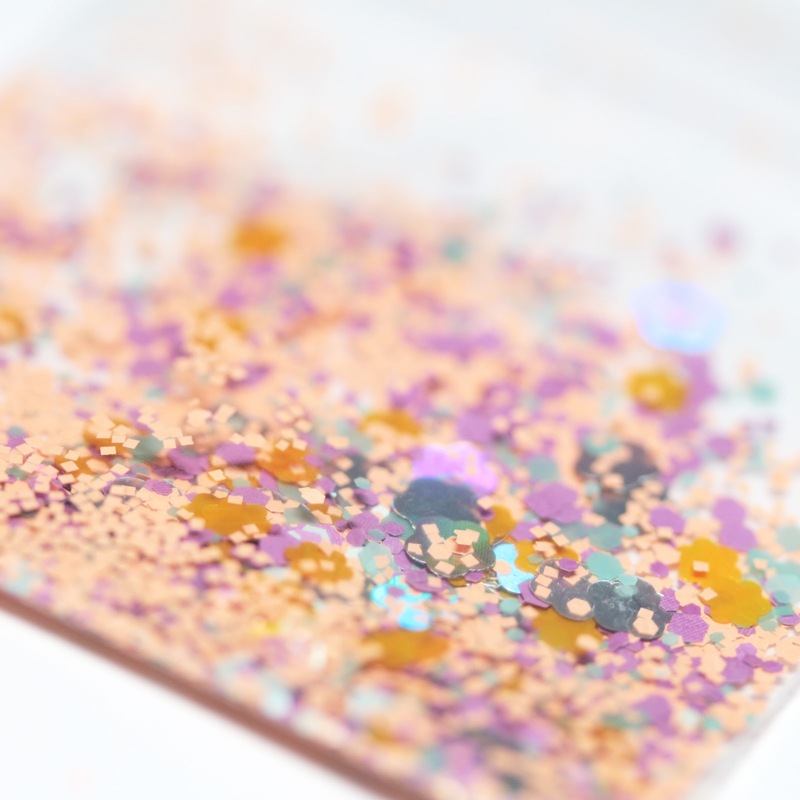 The set also comes with a packet of nail art glitter for use on the nail - this is not for adding to the polish, but rather sticking on the tacky layer before it dries. These are available as a set in both shops for $16 plus shipping. They are a pastel lover's dream! 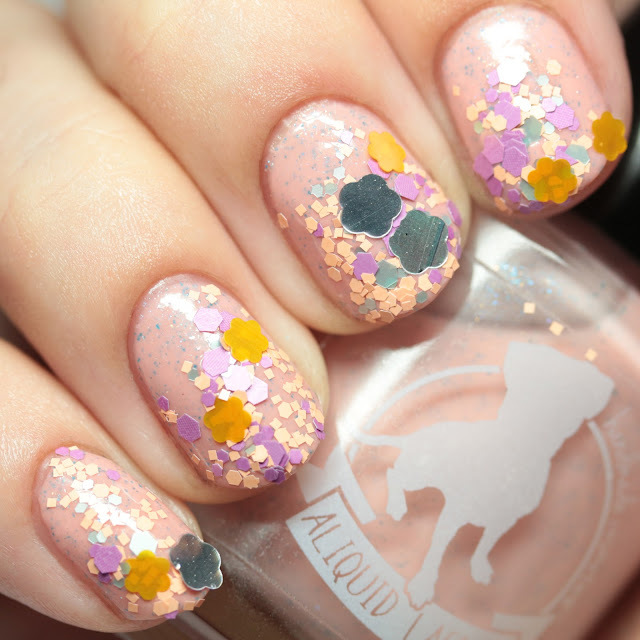 I love the use of subtle flakes and the extra glitters to customize as you choose.